Despite being the cornerstone of USC’s educational platform, the General Education system is far from ideal. Though its goal is to provide students with a well-rounded education via exposure to various disciplines, the system sees no distinction between effectiveness and excessiveness. While we and much of the student body believe in the ultimate goals of the GE system, it is clear that these goals are not its defining characteristic and have been subjugated for the sake of increased University revenue. Forced enrollment in classes of various disciplines can be effective and beneficial, but only to an extent. This is not the first time students’ well-being has been compromised by USC’s image-conscious and financially greedy administration. Additional course requirements often increase the cost of education, but the GE program is in a league of its own. For incoming freshmen, extra-major course requirements typically include 10 GE courses, two writing courses and three language courses. These 14 typically required courses potentially reach a total of 56 units, or 44 percent of all courses taken as an undergraduate student. 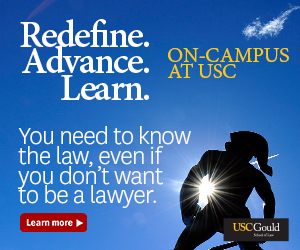 For context, many majors at USC are 48 units or less. 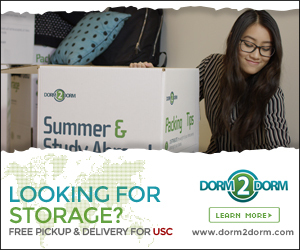 Given standard USC tuition, these 56 units amount to a staggering $104,328 financial burden and over three full semesters of extra requirements that move students no closer to a degree or career. The excessive number of required courses is not only a burden in itself, but also forces students to spend more time overall at USC, and limits their ability to pursue additional majors or minors. Most importantly, GE unit requirements make it extremely difficult for cost-conscious students to graduate early. This further limits students’ opportunities to pursue programs like coterminal master’s programs or even gain a head start on their career. Additionally, the ethics of having families pay for courses students are forced to pursue are questionable at best, especially given current tuition rates. The GE system is also totally ambiguous in its categorical descriptions, which increases course requirements. Students are required to take two courses in humanistic inquiry and two courses in social analysis. Many of the classes could be categorically interchangeable, and students can seldom discern differences between the categories. If the University were to merge the two categories and require two courses in the one category, students would take eight fewer units at $1,863 per unit, thus decreasing the University’s revenue by $14,904 per student. Given an undergraduate enrollment of 20,000 students, the University is making $298,080,000 off of ambiguous course category and requirement descriptions. The GE system also cultivates disparate opportunities because of Advanced Placement access prior to college. Some requirements, such as quantitative reasoning and physical sciences, may be waived with AP or International Baccalaureate courses taken in high school. Students from lower-income neighborhoods and high schools typically have fewer AP or IB options than schools with a higher income average. Thus, upon matriculation with more requirements and less credits to pursue additional majors or minors. Though individual high school course offerings are out of the University’s control, with 60 percent of the 2018 freshman class having taken seven or more AP or IB courses in high school, disparities among course offerings give higher-income students an unfair advantage. This statement is the only one addressing the GE system on his resume, leading us to believe that its major function is monetary. It would seem that even the dean’s view of the GE program is as primarily a revenue-generating tool. In summary, the General Education Program and its resulting tuition requirements have far overshadowed its goals. To return to its roots, some major structural changes must be enacted. Drastically reducing the number of required GE courses, reworking GE categories and thus giving students more freedom of selection in courses would encourage students toward more academic and career-based success, rather than making students slave over unnecessary units. 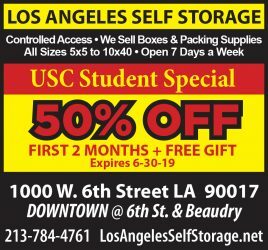 Finally, this reduction of units would allow USC to totally reject AP classes for GE credit, thus leveling the playing field for all incoming students regardless of economic access. If University administration does actually care about its students’ educational value more than increased revenue, changes may be in order. Unfortunately, it seems that this could not be further from the truth at this moment.